Ann and Bryan’s basement is becoming a rec room and home office. End of day 1: 65 studs installed. 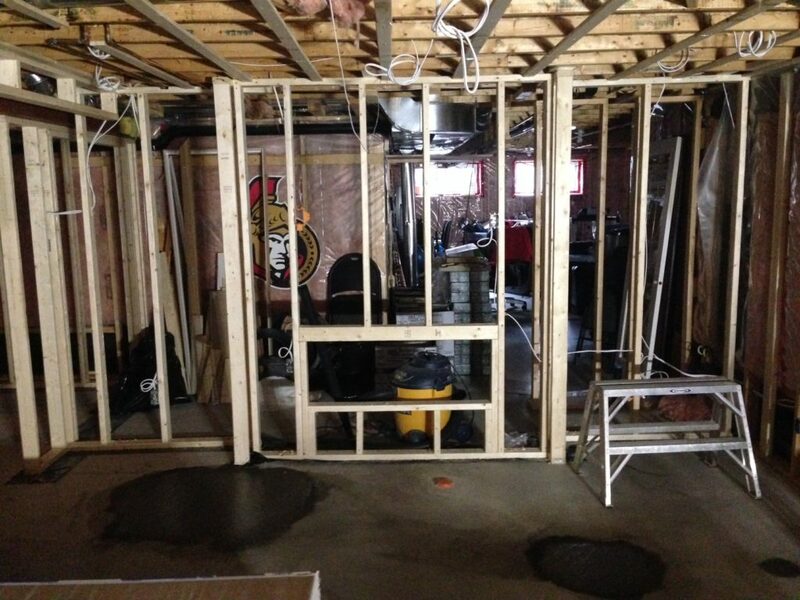 Day 6 of Ann and Bryan’s basement renovation. 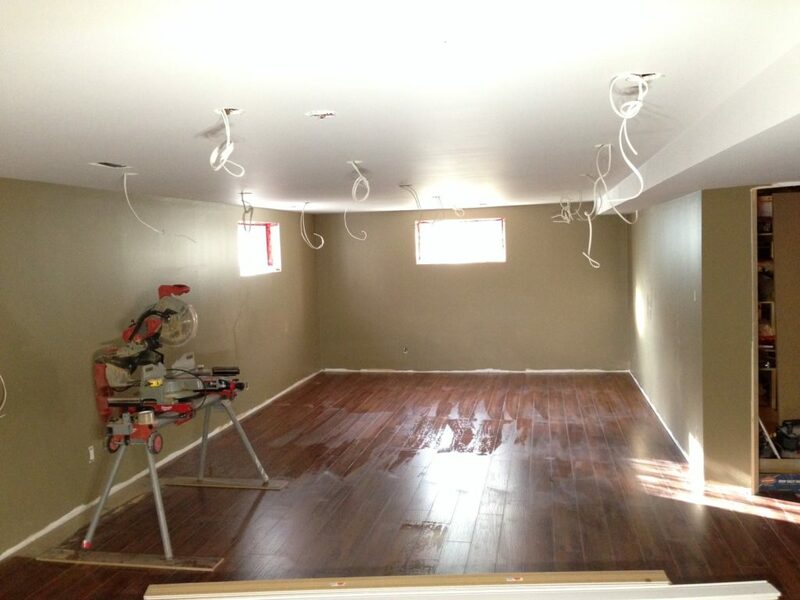 The electrical is done (by Legallez Electric) and passed Electrical Safety Authority inspection. We’re wrapping up the framing with this wall. 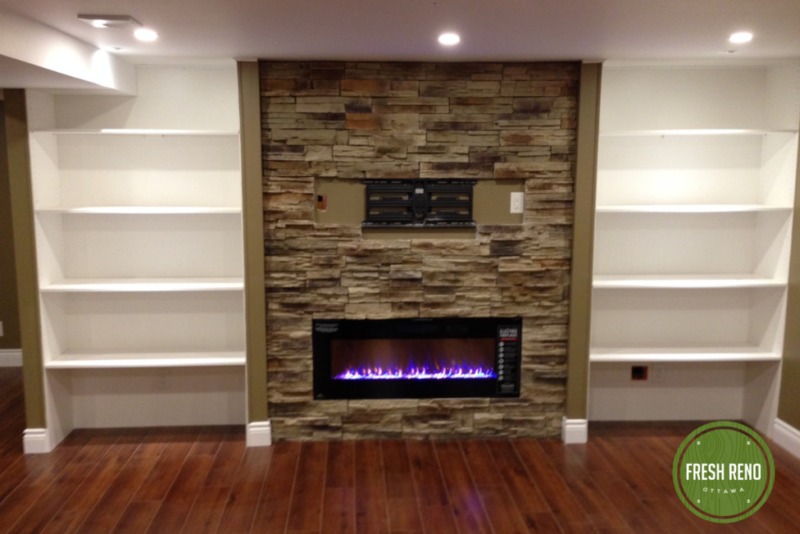 It’s framed for a fireplace, TV above, and custom shelving on either side. 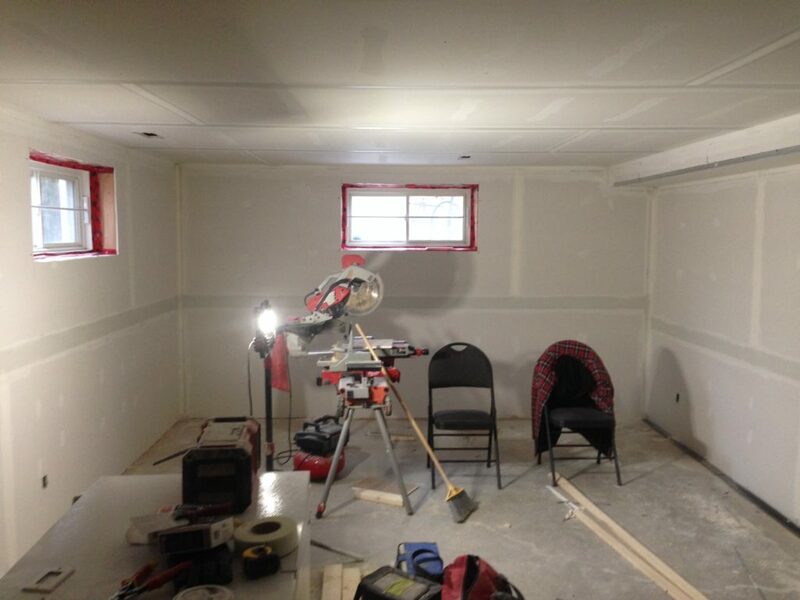 Day 7 in Manotick: Drywall all installed. First coat of mudding in process. 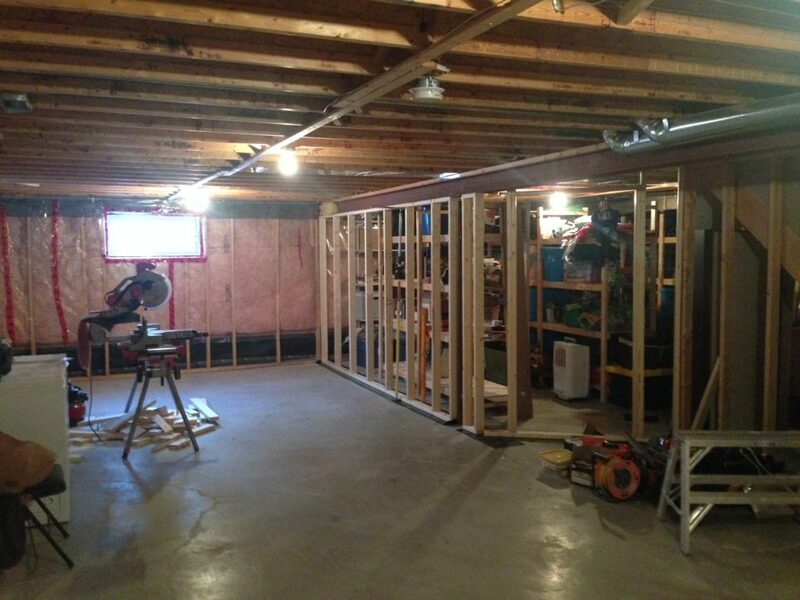 Renovation day 10: The basement has taken a big leap forward. The drywall is done and painted. Plus, the floor is down. We even mopped! 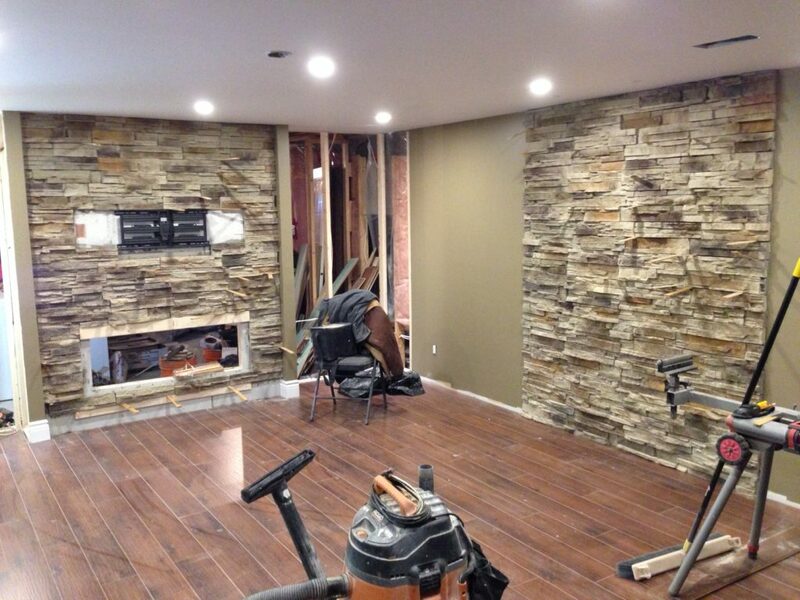 Manotick basement renovation day 12: accent walls with Timber Ledge Stone. Day 12: Let there be light! 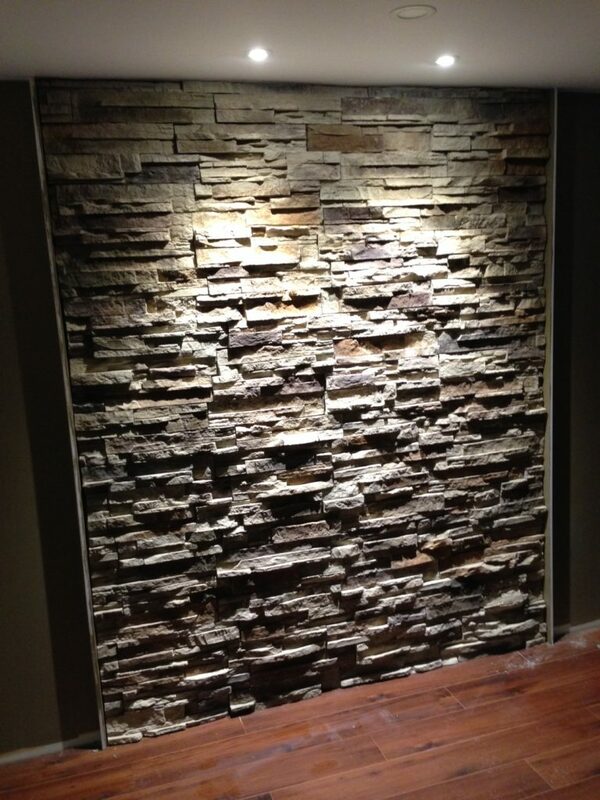 Now THAT shows off the stone wall. 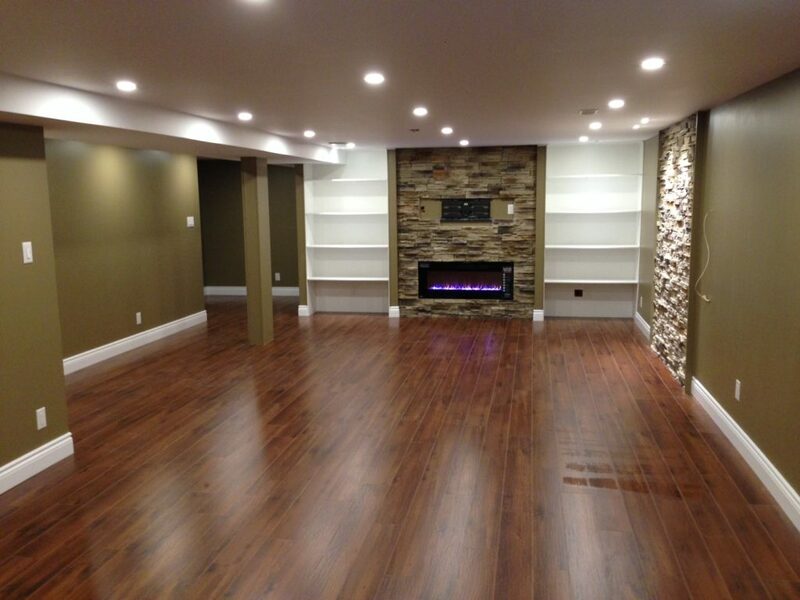 Day 15: Ann and Bryan’s basement is done! Done! A closer look at the fireplace (with spot above for a TV) and surrounding shelves.